If you've traveled past Walla Walla Valley Academy over the past two years, you've no doubt seen it. Once an underused thorn patch, the field on the corner of 4th and Academy Way is now bearing fruit. Pastor Troy Fitzgerald and a team of high school and college students have tilled and tended the land to bless the community. The project was inspired by a passage from Leviticus 19: When you reap the harvest of your land, you shall not reap to the very corners of your field, nor shall you gather the gleanings of your harvest. Do not go over your vineyard a second time or pick up the grapes that have fallen. You shall leave them for the needy and for the stranger. I am the LORD your God. 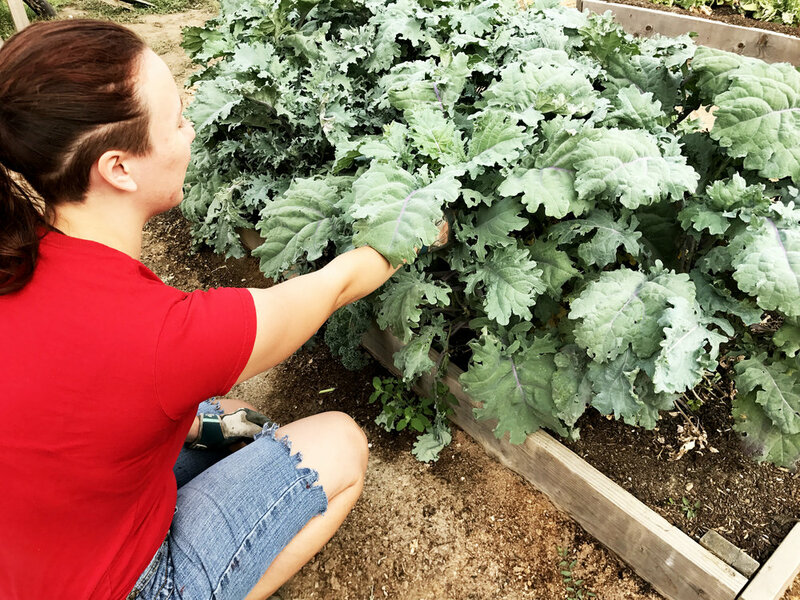 "When I saw the unused ground in front of WWVA, I thought of community gardens where people work, share produce, and experience with one another. Work. Stories. Sharing. 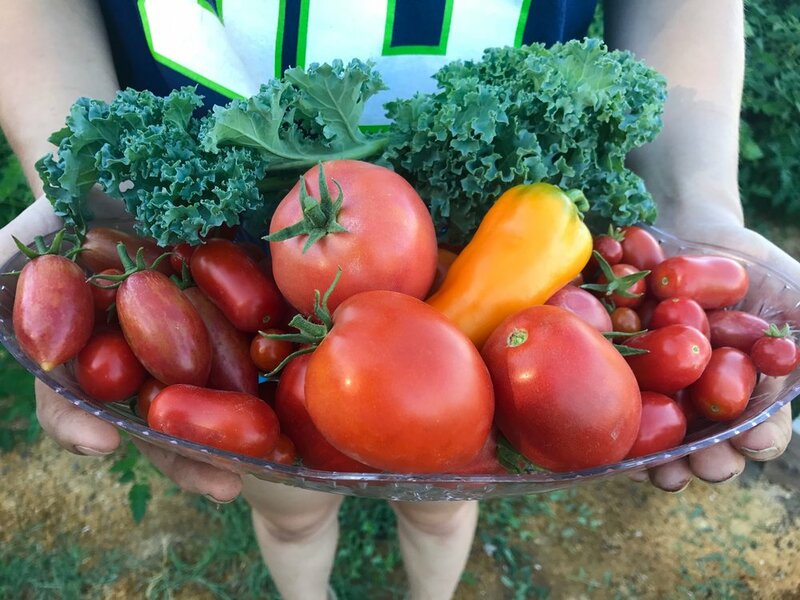 If I could cultivate moments in our culture today, I top the list with the things that develop in a garden," says Pastor Troy. But the Edge is a little different in that young students work the garden to pay for Christian education. These workers receive not only wages, but matching scholarships. It is all funded by generous private contributions from people who value the mission and method of this garden. for those who need better food. This means it doesn't just go to the poor, but also to those who are aliens or foreigners. "In our communities, there are many who are separated and disconnected relationally from others," says Pastor Troy. "So sharing this food becomes a way to be gracious and kind. It’s an easy way to start a conversation." If you resonate with students working hard and learning great skills all while blessing their neighborhoods, please consider supporting The Edge. This Sabbath in the lobby, you will find a table with produce from The Edge. Please take some and give it away to your neighbors. Use it to build relationships, to fill needs, and to make connections in your sphere of influence. Feel free to stop by the garden any time and cheer on the young farmers hard at work. We thank Matt Heinrich of the University Store for leading the praise band, Lidia Friederich and Jan Roberts for the anthem, and Johanna Chevrier for the offertory anthem. The observant listener may have noticed that the music this summer has featured singers from the studio of Dr. Christine Janis, such as Johanna Chevrier. Johanna graduated from WWU in June as a psychology major, music minor. We are delighted that she now works in the Career Center, and we hope to continue hearing her sing in the Walla Walla valley. The Belgian composer César Franck (1822–1890) wrote our organ music and offertory anthem. A tireless worker, Franck enjoyed a long career as organist, composer, and teacher at the Paris Conservatory. His organ music requires a lot of work to master, and much of it is lengthy. Today we hear one of these long works, Chorale No.1 in E major, divided between the prelude and postlude. Today's loose offering contributions will support Adventist higher education at Loma Linda University, Andrews University, and Oakwood University. Your gifts marked "tithe" specifically support pastors' and teachers' salaries. Gifts marked "University Church Budget" fund ministries like: youth and young adults, children and families, broadcast, and our schools. Thank you for your generous contributions to God's work here in Walla Walla, and beyond! WWU Church Family Camping weekend is planned for September 8–10, at Harris Park Campground in Umatilla County, up the hill from Milton-Freewater. The full campground is being held for our members to reserve (RV sites with full hook-ups, 2 cabins, and spaces for tents are available). Sites will be released to the public however, if we do not call and specifically register individually. This gathering and any additional activities will be informally organized, with the exception of a family worship and group potluck to follow on Sabbath. Register by calling Cortney at Harris Park: 541.938.5330. Contact Sherrice Croft for details: sherrice.croft@wallawalla.edu. RAS is seeking a family or individual willing to host an adult male Seventh-day Adventist Spanish teacher from Panama for the 17-18 school year. This is a great opportunity to learn about a new culture and strengthen (or begin) your Spanish language abilities! This is a service opportunity, but a small stipend will be provided for food costs. Call Holley at (509) 529-1850 if you’re interested. Senior Recital: Krishawn Woodbury, cello Aug 18 at 2 p.m. at Melvin K. West Fine Arts Center Auditorium Krishawn Woodbury presents her senior cello recital with pianist Jan Roberts. The program features works by Beethoven, Bach, Kabalevsky, and Saint-Saens. Krishawn is a student of Sally Singer. WWU Teacher Supervisor Positions Available: Do you love working with teachers in training? The WWU School of Education and Psychology has two openings for Student Teaching Field Supervisors beginning September 2017. You can see more specific information about applying for these part-time positions listed on the wallawalla.edu staff employment website https://wallawalla.edu/resources/human-resources-payroll/employment-resources/staff-employment/ or by calling 509-527-2211. The WWVA Singers is looking for an accompanist for the upcoming school year. We rehearse twice a week and perform about once a month in a variety of genres, as well as a cappella selections. If you are interested in getting involved with a neat group of young people who have a great work ethic toward making fine music, please contact Director Patti Short at shorpa@wwva.org or 540-292-9379. Vacation to CHARMING CEDAR SHORES – just north of the border. Three Bedroom, 4-season Guesthouse on beautiful Slocan Lake, B.C. Perfect for nature loving couples or family. Sleeps 2-4, caretaker on premises. For more information, call 509-638-2268. Jim & Virginia Davidson of “Jesus and Science Seminars, Inc.” present two afternoon topics at the Touchet SDA Church, 368 Larrabee Rd., Sabbath, August 12. At 2 PM, the topic is “Outside the Box” and at 3 PM, “Zero Probability and the ABC’s.” Virginia is an artist and Jim has worked at Oak Ridge National Lab, PNNL and Hanford. All are welcome. As a Health Coach, help lead our valley, one person at a time, towards a vibrant future. Call (509) 529-3100 or visit sonbridge.org for details.